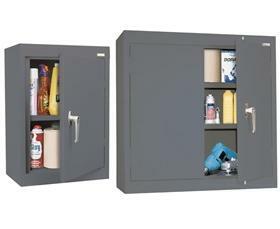 A handy organizer above work desks and counters. Solid steel construction for durable use. 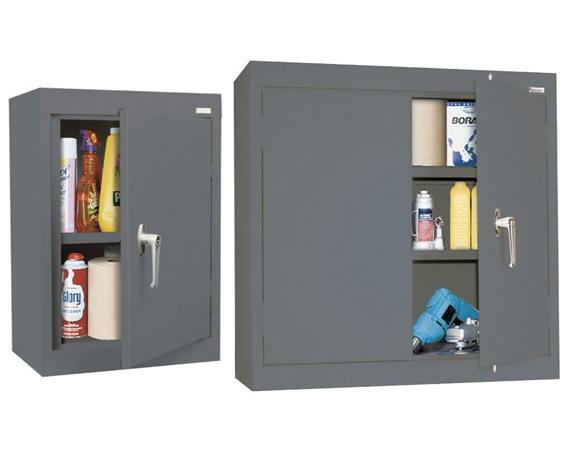 Single Door Wall Cabinet - Includes cam door lock system. 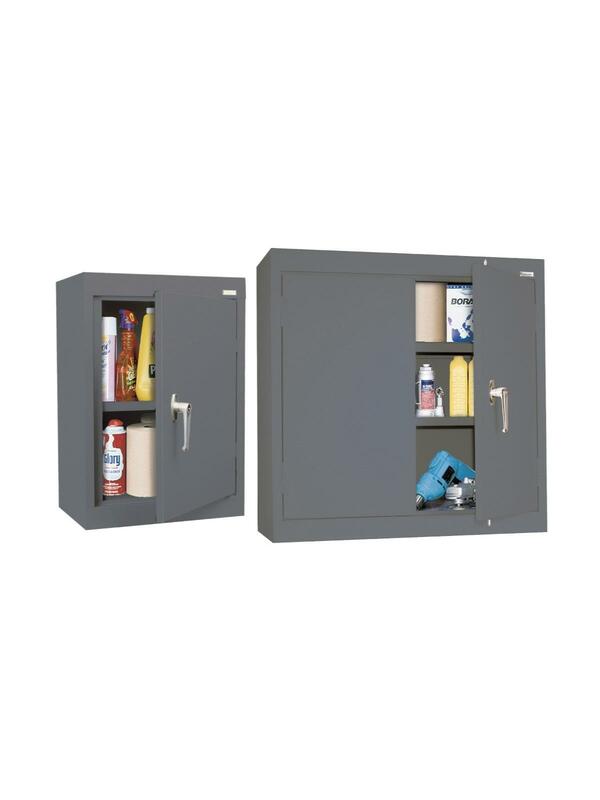 Double Door Wall Cabinet - Includes 3-point door lock system.